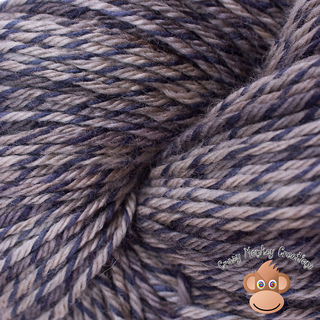 HypnoMonkey is a DK weight 100% merino wool yarn with a twist. 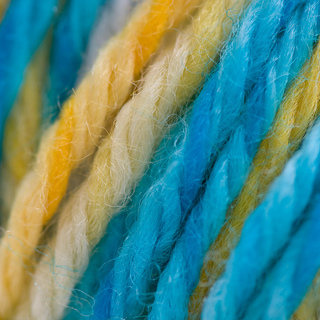 One of the 4 plys takes on more dye than the others resulting in a mesmerizing spiral stripe within the yarn. When knitted up this makes for great visual texture. Sold in 100g (apx. 245 yards) skeins. Each colorway is unique and considered a Special Edition. We do not record or reproduce our colorways. This keeps the yarn new and exciting, and all the more precious.